Should You Copy and Paste Your Online Reviews onto Your Site? You worked your tail off to get those reviews – on Google or Yelp or Facebook or another site – and want visitors to your site to see them. But you might have refrained from putting them on your site, because of one fear or another. 1. They won’t get filtered because you copied and pasted them. I’ve tested that with Google reviews. I’ve also tested it with Yelp reviews and reviews on other sites. The reviews don’t get filtered. You might get your reviews filtered for other reasons – like asking too many customers at once – but not because you put them on your site. 2. I have never seen an issue with duplicate content: a page with third-party reviews not ranking well after reviews are added, or the wrong page ranking in the search results, etc. Now, your page with your review probably won’t outrank the review site with your review, because (for one thing) the review site probably has a bit more link juice than yours does. But that’s got nothing to do with the review. 3. The review sites seem fine with it. Google – ever the killjoy – doesn’t have a rule against showcasing your reviews. Yelp has stated clearly that reusing your reviews is OK, as long as you attribute the review clearly. I’ve never seen less-strict, more-hands-off review sites discourage it, either. 4. Those reviews are relevant content you don’t have to write. They’ve naturally got “keywords,” and they may be “local” – especially if you cite where your reviewers are from. 5. You’re letting other people talk about how great you are. That’s more compelling to would-be customers. By the way, those reviews on your site don’t have to come across as cherry-picked. You should link to the review site they’re from, and encourage visitors to Google your name and check out your reviews for themselves. 6. You’re saving the text of the reviews. If they ever disappear for whatever reason, at least they won’t disappear for good. You’ll have them on your site. 7. More potential customers will see your reviews. You can’t assume everyone will see your reviews in the search results. 8. It can condition customers to write reviews. Having great reviews on and off your site is how you’ll get customers to pick you specifically because of your reviews. Later, after you’ve made them happy, they’re less likely to be surprised if you ask them for a review – and more likely to say yes and to follow through by writing you a good review. You can excerpt your reviews, if you don’t want to copy and paste them in full. You don’t need to take screenshots of your reviews. As I’ve described, copying and pasting the text – which Google can crawl, of course – is not a problem, and having the text be crawlable by Google is half the reason you’d do it in the first place. You shouldn’t mark up your third-party online reviews with Schema.org. You should do that only for testimonials that appear exclusively on your site. You can use review widgets or badges, too. What’s your approach to using your online reviews? 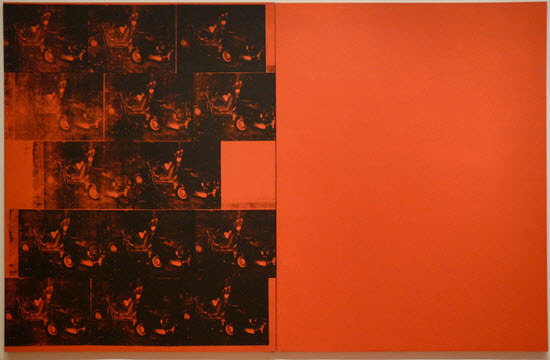 Any reasons to do it – or not to do it – that I missed? 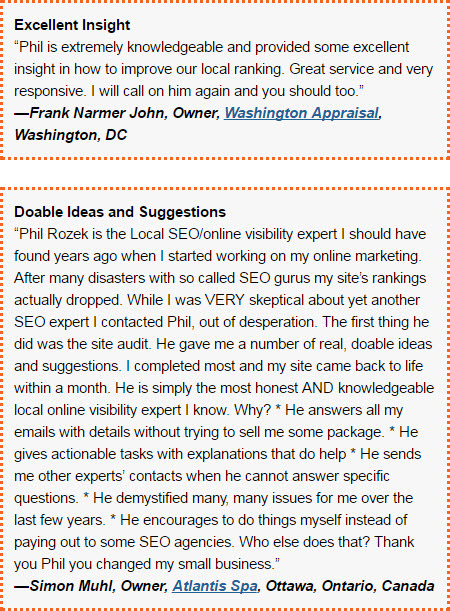 Thanks Phil for the great post on leveraging reviews on your own site. I had been putting this off due to concerns about duplicate content and filtering. Time to get to work! Thank you for sharing your experience! In 2015 I read a few articles that advised not to copy reviews between online entities, the website being one of them. I look forward to testing this on a couple of my sites! Been doing this for some time, great to hear that you see no harm in it either! 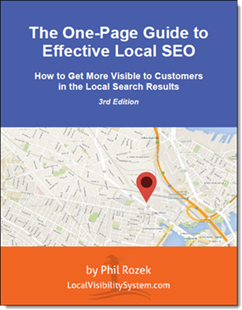 If you can get enough reviews, I think that it’s a great way to bulk out location pages where it can be difficult to find unique or differentiating content.